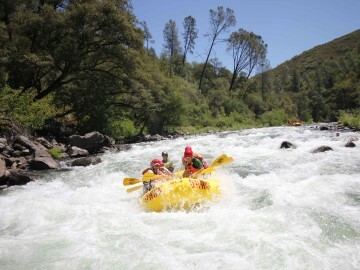 Take a 2-day Tuolumne River rafting trip with an outfitter down this bad boy and you’ll be paddling, swimming and screaming your way through some of North America’s most famed whitewater. With rapids like Clavey Falls and Ram’s Head, our best advice is that when your guide yells, “dig!” you dig. Otherwise, you might end up a member of the “Tuolumne River Swim Team.” You’ll get to sleep right on the river, and outfitters will supply all the necessities: cold brews, good company, bocce ball, and the best toilet you’ll ever use (lovingly called the “groover”). You can bring a tent, but you’re not going to want to use it. Instead, use this opportunity to fall asleep with the best night lights of all, the stars. Warning: you may find it difficult to sleep due to overly-excited stargazing. 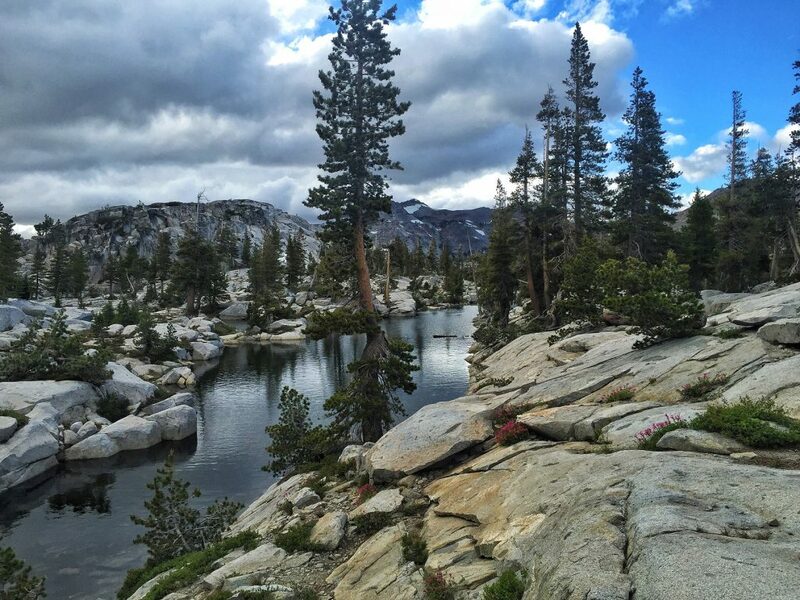 Located just south of Lake Tahoe, the 15-mile trail from Echo Lake to Aloha Lakes is a moderate hike that meanders alongside five gorgeous lakes. After a long day in the sun, you can camp on the shores of Lake Aloha and cool off with a refreshing dip at sunset. Inflatable paddle boards are definitely suggested. If you are staying overnight, make sure to get a permit from the El Dorado Ranger Station. It’s $5/night per person. The Skyline-to-the-Sea Trail is one of the most popular hikes in the Bay Area and takes you from the Santa Cruz Mountains to the coast. 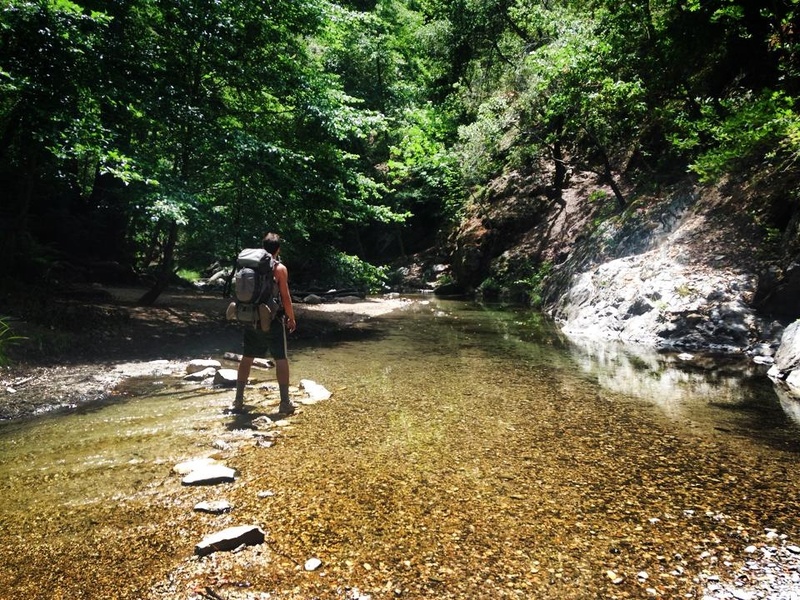 On this approximately 30-mile, 3-day hike, each day is better than the last as you make your way from the starting point in Castle Rock State Park, through Big Basin State Park, and finally past Berry Creek Falls and down to Waddell Beach. Take your time, and enjoy ambling through old-growth redwood groves, walking alongside bubbling creeks and enjoying expansive vistas. Since it’s a point-to-point trip, you’ll want to stage a car at each end of the trail. Three hours north of San Francisco is the charming little town of Mendocino. Your jaw will be on the floor long before you reach the city limits as you twist and turn your way through the most epic coastal scenery ever. The best part? 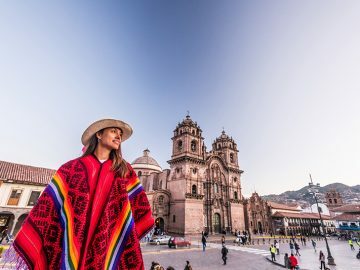 The “Bohemian Bus” Airbnb that awaits your arrival. Just 1.5 miles from the coast, this vintage school bus, which was converted to living quarters back in 2006, is now the perfect location to get away from it all. 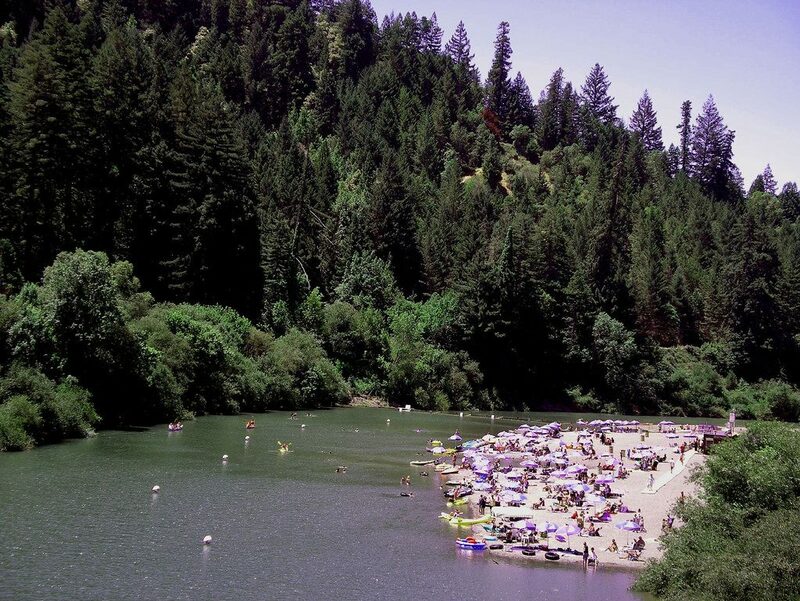 Don’t forget to check out Russian Gulch State Park, take a stroll through the Van Damme Pygmy Forest, and see the sun set at infamous Bowling Ball Beach. With 85 miles of sweeping coastal scenery—this time 2.5 hours south of San Francisco—it’s no wonder Big Sur is a must-see for many visitors to the Bay Area. The best way to enjoy this iconic coastal destination away from the crowds is with a big ol’ backpacking trip. If you can swing a visit during the week, the 10-mile out-and-back hike to Sykes Hot Springs—with a clothing optional bathtub waiting as your reward—is incredible. Afterward, make sure to stop in at Big Sur River Inn for a nice cold brew while chillin’ in an Adirondack-style chair plopped right in the middle of the river. 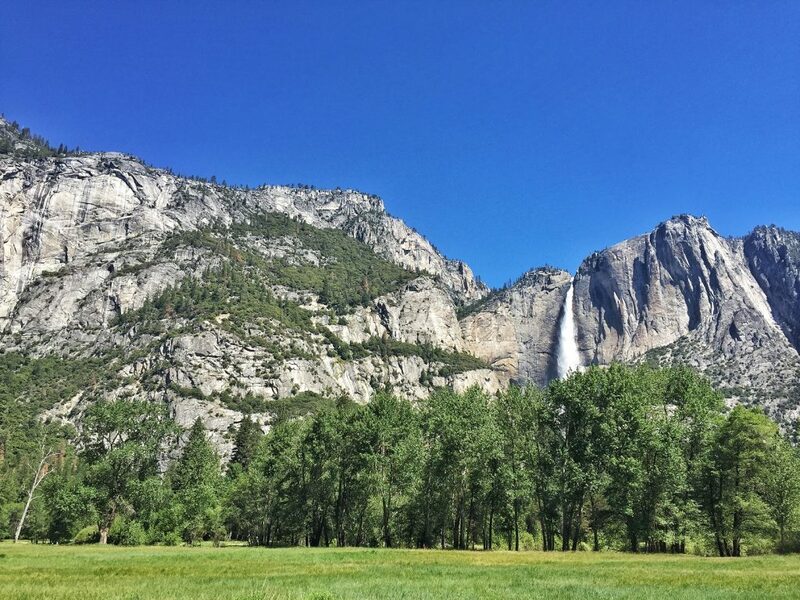 Yosemite is full of picturesque meadows and granite peaks, massive waterfalls, some of the most famous rock climbing in the world, and endless miles of hiking trails. It’s also one of the most popular tourist destinations in the world. The good news is that most people don’t leave the valley and even fewer folks are up for a 7-mile hike with a 2,700-foot elevation gain. But you are, right? From the Camp 4 area via the Valley Loop Trail you can hop on the Yosemite Falls Trail and ascend all the way to the top of the falls, which is considered one of the tallest waterfalls in the world and the tallest in California. Take a sandwich and enjoy lunch at the top as you’re surrounded with jaw-dropping views of Half Dome, Sentinel Dome and the entire valley floor. Guaranteed it’s worth every drop of sweat. And once you’re back in the valley, don’t forget to treat yourself to a big fat slice of pizza at Curry Village. 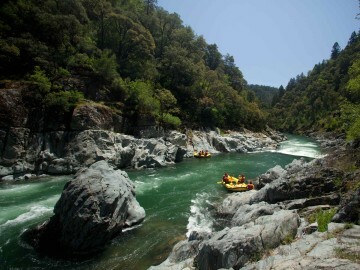 Did you know some of California’s best whitewater rafting is just two hours from the Bay Area? 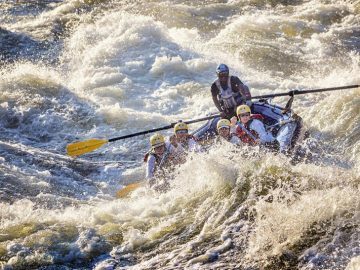 Head to OARS American River Outpost in Coloma, and you’ll be set for an adrenaline-filled weekend. 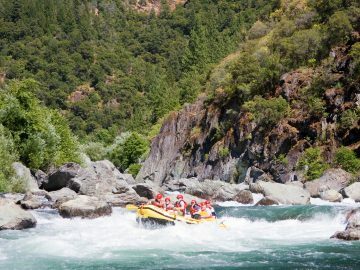 Not only is this riverside campground the perfect jumping off point for rafting trips on the North Fork, Middle Fork and South Fork of the American River, this outdoor haven run by OARS also offers one-night of complimentary camping for its rafters. 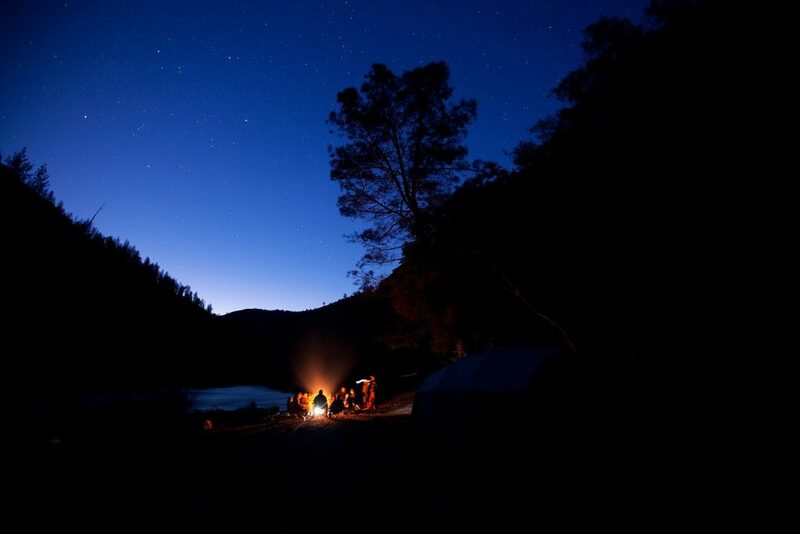 Spend a night under the stars riverside or stay in one of their platform tents after a nice, relaxing BBQ session with your fellow rafters. 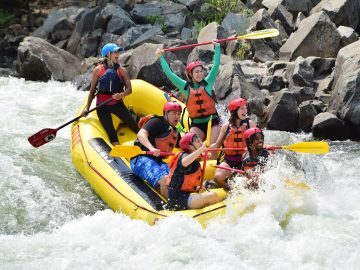 Not sure which rafting trip to pick? 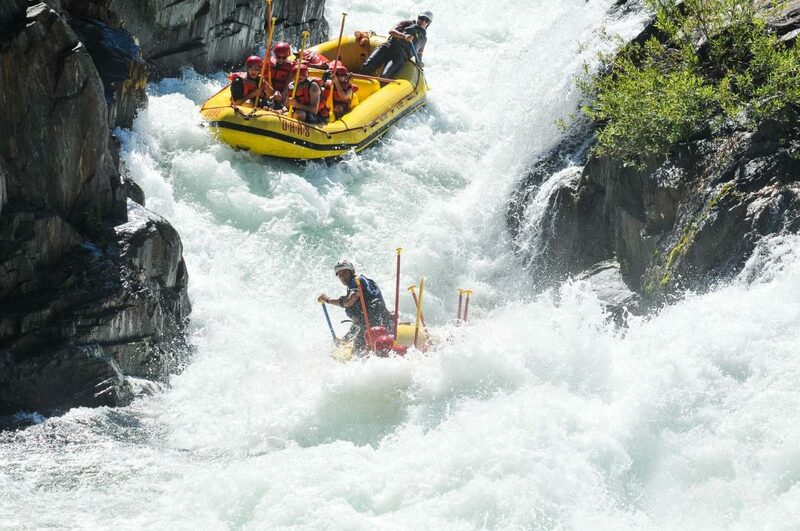 Opt for the Middle Fork American and you’ll get to cruise through infamous Tunnel Chute. 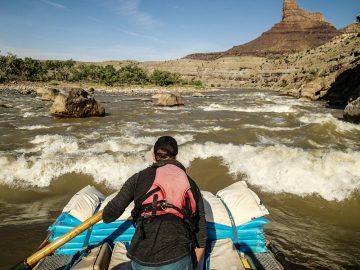 One of the most unique and exciting rapids in the West, this long and tumultuous Class IV+ rapid was created by miners who blasted a tunnel through the side of a cliff. It’s one for the must-do list. Make the drive up California’s coastal Highway 1 from San Francisco and you’ll quickly find yourself in the slow-paced Russian River Valley of Western Sonoma. Head to the summertime hot spot of Guerneville where you can stay anywhere from riverside campsites to 5-star luxury resorts, like The Farmhouse Inn. If you are feeling like a lazy day on the river, you’ll find rope swings, beaches, and sunshine. 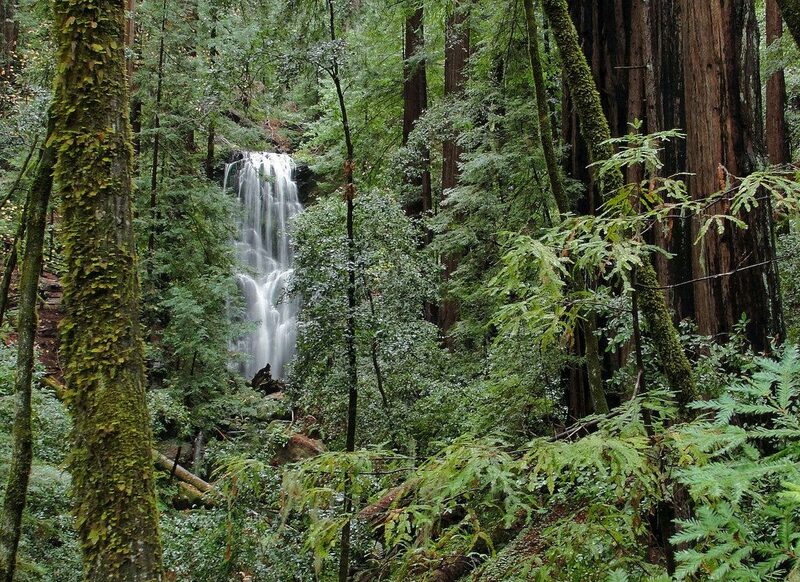 To hike among the majestic coastal redwoods, check out Armstrong Redwoods State Natural Reserve. Or, for some ocean vibes, you can take the Bohemian Highway out to Goat Rock State Beach. 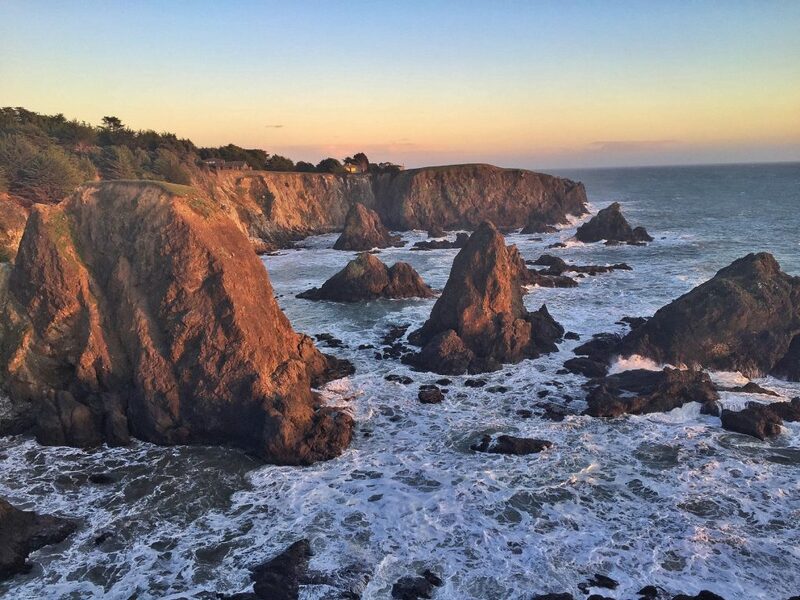 Make sure to stop at River’s End, the alluring, mystical coastline where the Russian River melts into the Pacific Ocean. 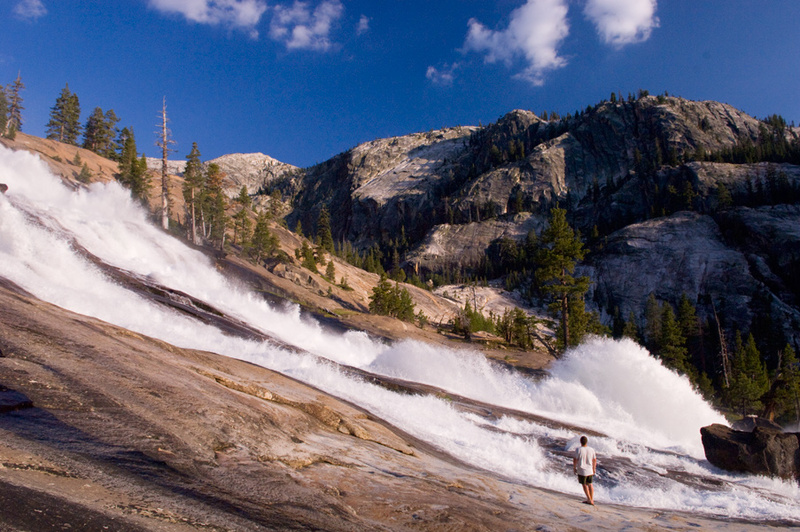 This 30-mile one-way trek is one of the top-rated backpacking trails in all of California. Starting from the White Wolf campground in Yosemite National Park, you’ll descend nearly 4,500 feet into to the Pate Valley before climbing back out to Tuolumne Meadows (or vice versa if you choose do it in reverse). Permits are highly-coveted and available exactly 24 weeks in advance of your trip. If you can, plan 4 days to do this challenging hike as you’ll want to take as much time as possible to thoroughly enjoy all the spectacular waterfalls, swimming holes, and general awesomeness of the High Country. If you don’t want to deal with shuttles or staging cars, you might consider making it a loop hike. This adds more than 20 miles though, so you’ll likely need additional time. 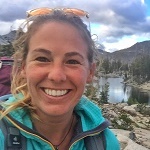 Julie Kern is the co-founder of Wanderlove, an online magazine that provides tips, guides, and inspiration for the adventurous traveler.